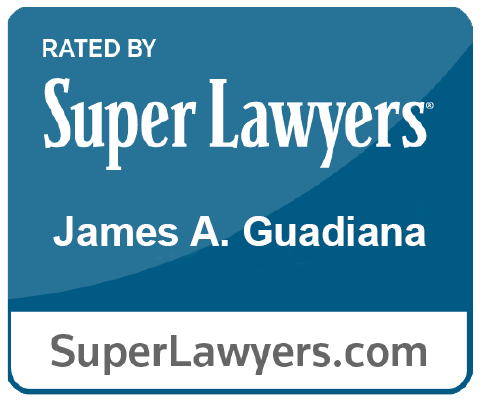 Jim Guadiana focuses his practice on the tax aspects of domestic and international transactions and investments. He serves as advisor to public and privately-held multinational companies and investment firms with regard to their operations and investments in the United States. Jim also has extensive experience as tax advisor to a number of public corporations listed on the London, Hong Kong, and Toronto stock exchanges. Jim is respected domestically and internationally for his ability to identify and resolve unique and complex tax issues in domestic and cross-border investments in a myriad of fields. Jim also has represented clients before U.S. tax agencies and U.S. tax tribunals. Jim routinely advises clients on the establishment of transfer pricing policies, and assists clients in implementing beneficial cost-sharing and other arrangements. He counsels public and private companies on preservation of net operating losses and provides planning on various cross-border sales of physical commodities and related hedging transactions. Jim instructs issuers and investment banks regarding the treatment of foreign corporations as to their status, or avoidance of status, as passive foreign investment companies (“PFICs”). He structures multinational executive compensation programs to achieve optimum tax benefits for employers and employees in multiple jurisdictions. Jim advises clients on the tax aspects of transfers of proprietary technology, including patents. He counsels multinational families with regard to their global investments, business activities and U.S. tax compliance requirements. Jim has served as U.S. tax counsel to one of the world’s largest companies in its pre-IPO reorganization and IPO, advising it on complex U.S. tax and executive compensation matters. He has served as tax advisor for U.S. real estate development projects, providing both pre- and post-formation tax planning, and structuring investment vehicles to optimize after-tax returns for foreign investors. Prior to joining Barton, Jim was a Partner in the New York Office of the international business law firm, Torys LLP. “2019 Tax Reforms: Hidden Impact & Opportunities.” BritishAmerican Business Tax Forum 2019. New York, NY. (March 5, 2019). “The Tax Reform Act’s GILTI and FDII Provisions: Opportunities and Challenges for Businesses Explored.” Live Webcast. The Knowledge Group. (November 15, 2018). “Recent Trends and Developments on OECD’s Transfer Pricing Guidelines: What You Need to Know.” Live Webcast. The Knowledge Group. (February 15, 2018). “BEPS: The Transfer Pricing Landscape for Intangibles in 2018.” Live Webcast. The Knowledge Group. (November 7, 2017).